The view south from the top of the Campanile. The Port Elizabeth Harbour is in the foreground on the left with the PE beachfront off in the distance. 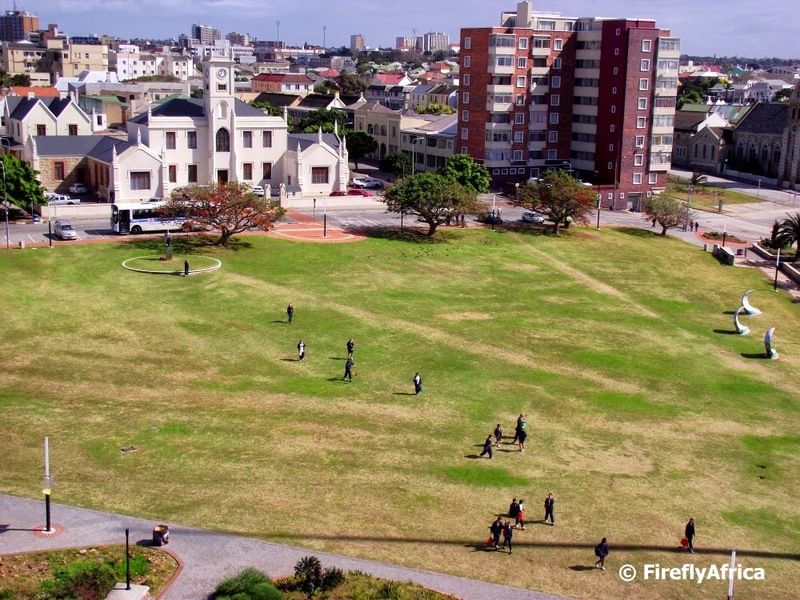 The Donkin Reserve seen from the top of the lighthouse as the St Dominic Priory kids I was on tour with walk across the park to have their lunches. As you know I like to post a video on a Friday and this week I found a Pasella clip on YouTube I Haven't posted on the blog yet. Can't believe I forgot about this one as I was involved behind the scenes in helping to organize it. The insert featured Port Elizabeth based Afrikaans singer Abel Kraamsaal. Pasella took Abel for a walk on the Sacramento Trail and the two guides that took them tell the viewers more about the shipwreck, Khoisan middens and different kinds of plants found along the way. Along the way Abel composes a song about the Sacramento which he sings at the end. Well worth a watch. I often wonder how many Port Elizabethans have climbed the Campanile as adults (not counting going up there as kids on a school outing). I for one can put my hand up as I do it at least once or twice a year. Last week I went up with the St Dominic Priory grade 6 classes. 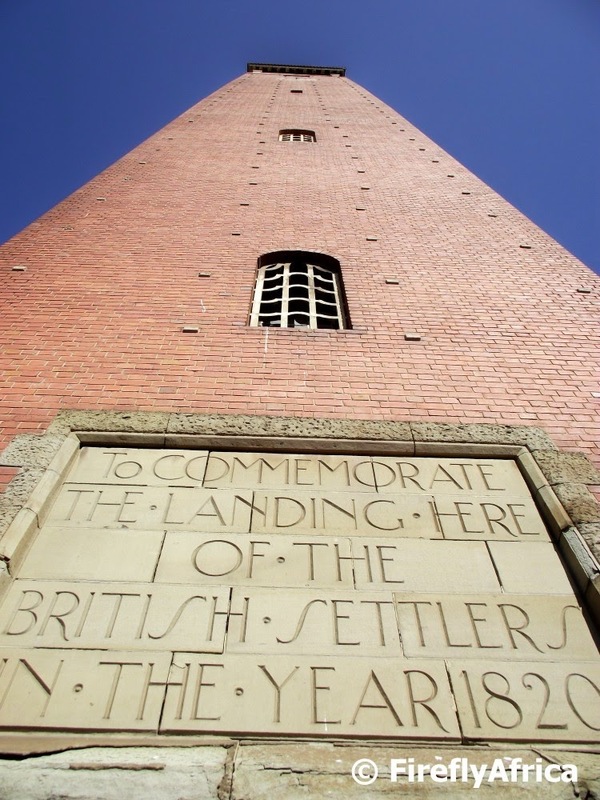 The Campanile was completed in 1922 to commemorate 100 years since the landing of the British Settlers in 1820. 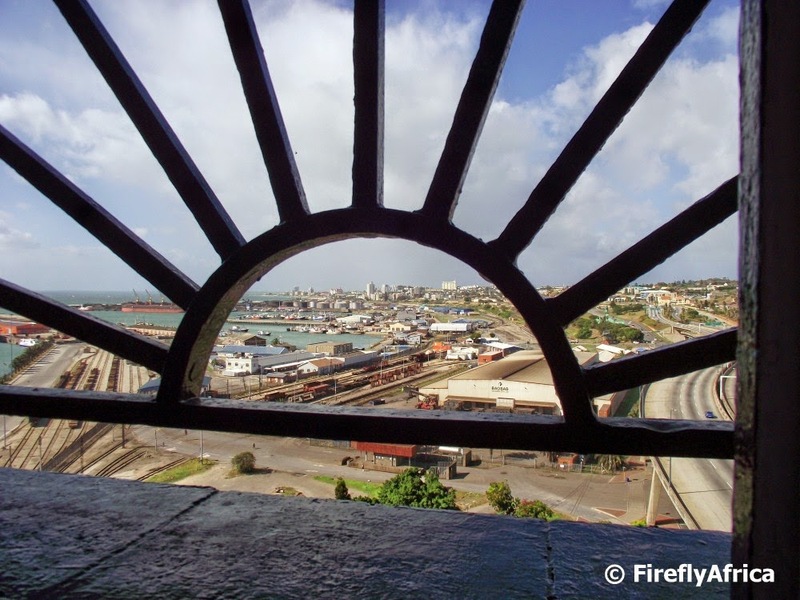 It was built on the landing beach where the Settlers first put foot on African soil. I got an email from one of the PE Daily Photo followers, Yolande Gerard-de Vinck, a day or so ago with a photo she took at 06:00 on Saturday 16 August. 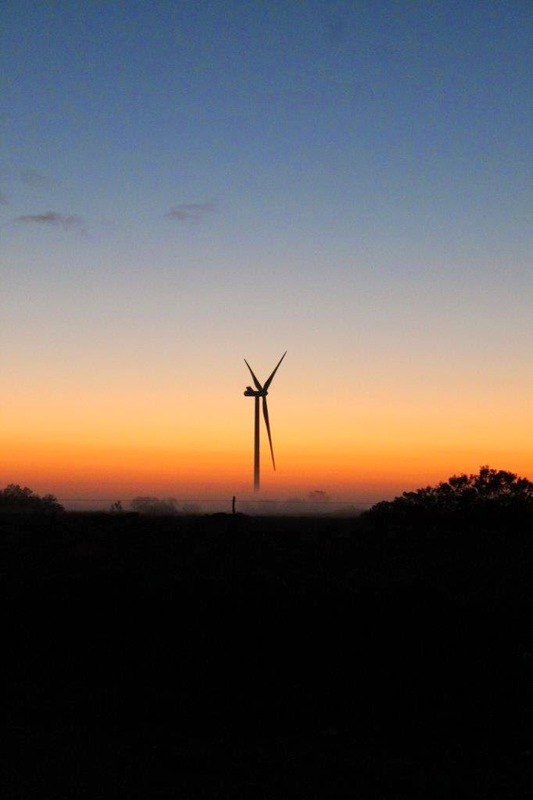 She just said that it is towards Addo and the first windmill in the area so I'm not sure if its the Coega turbine or possibly one that is already up at the Grassridge wind farm. Never the less its a beautiful shot. If only I got up early enough to snap pics like this. The Donkin Reserve always produce a new photo when I visit. 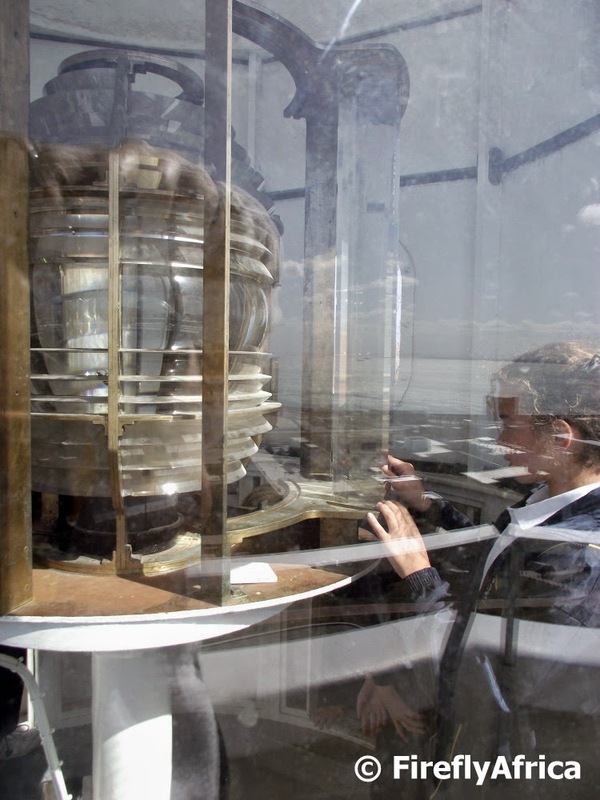 On my last visit I climbed to the top of the lighthouse with a group of kids from St Dominic Priory and snapped this photo through the windows of one of the girls having a closer look at the light. I have always said (and will always say) that St Georges Park has the potential to be Port Elizabeth's own Central Park. Somewhere locals can go to relax and take part in activities. Pity most people don't go there because of the preconception that its a dangerous place. 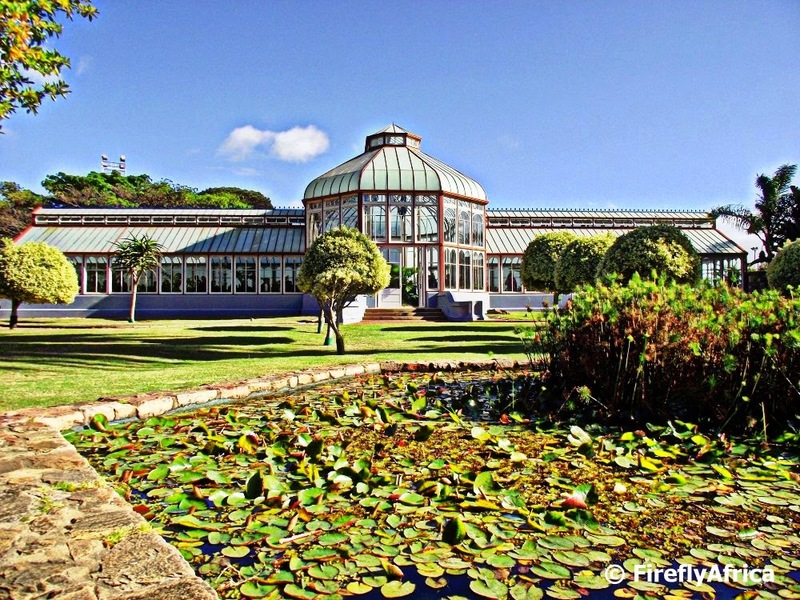 I snapped this picture of the Pearson Conservatory on a visit to the park with the St Dominic Priory grade 6's and gave it a slight HDR touchup to enhance it. Port Elizabethans came out in their thousands today to take part in the happiest 5k run on the planet. 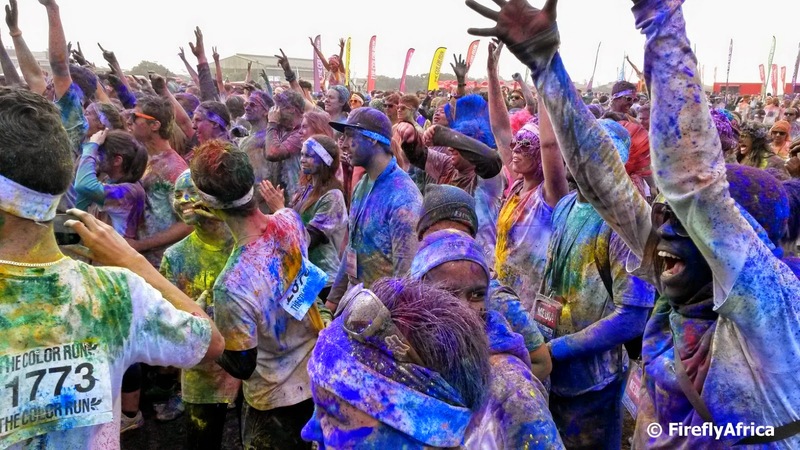 The Color Run came to Port Elizabeth for a second time (the first in 2013 was actually the first in South Africa) and the locals were hell bent to have fun come rain or shine... well mostly rain. BUT and I have to say but, they didn't allow the rain to spoil their day. In actual fact it only helped to make everybody even dirtier. Good clean fun. Excuse the pun. 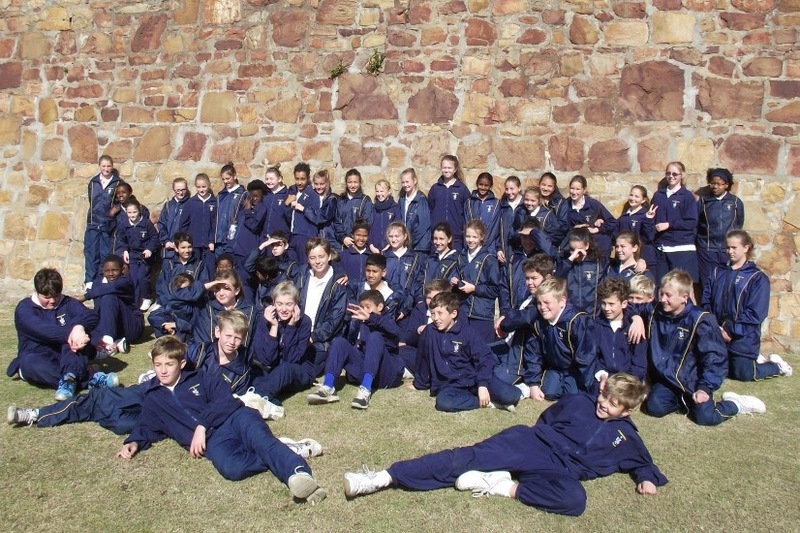 Every year I take the St Dominic Priory grade 6 classes on a tour of Port Elizabeth and have so much fun teaching them a little more about the city's history. Yesterday we headed out in the howling wind but didn't allow the weather gods to put us off. Four hours later we had gone for a walk through St Georges Park, visited Fort Frederick, climbed the 204 steps up (and back down) the Campanile, quietly made our way around the Public Library, ascended the Donkin Lighthouse and made a stop at the Sacramento cannon in Schoenmakerskop. Its really a fun and practical way to teach the kids the history while not boring them classroom style. Its always a pleasure taking them out as the group's discipline is impeccable year after year. Here the teachers are getting them lined in front of Fort Frederick for a group photo. This is the one of the most amazing videos you will ever see about Algoa Bay and that is all I'm going to say... No its not. Here I would like to quote some info from Wikipedia. Algoa Bay is a wide inlet along the South African east coast, 683 kilometres east of the Cape of Good Hope. It is bounded in the west by Cape Recife and in the east by Cape Padrone. The city of Port Elizabeth with its harbor is situated adjacent to the bay, as is the new Coega deep water port facility. The bay contains six named islands in two groups of three that according to BirdLife International “are of considerable importance as they are the only islands along a 1,777 km stretch of coastline between Cape Agulhas and Inhaca Island in Mozambique." 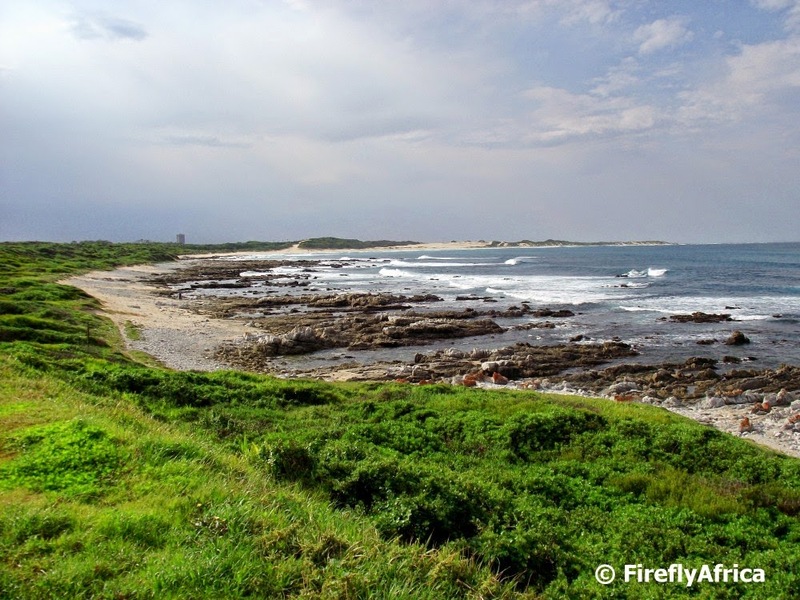 Close inshore, near the Coega harbor development, on the north-eastern outskirts of Port Elizabeth, is the St Croix group, consisting of a main island of that name and two lesser islets, Jahleel Island just off the Ngquru breakwater and Brenton Island on the seaward side. The second group consists of Bird, Seal and Stag Islands. 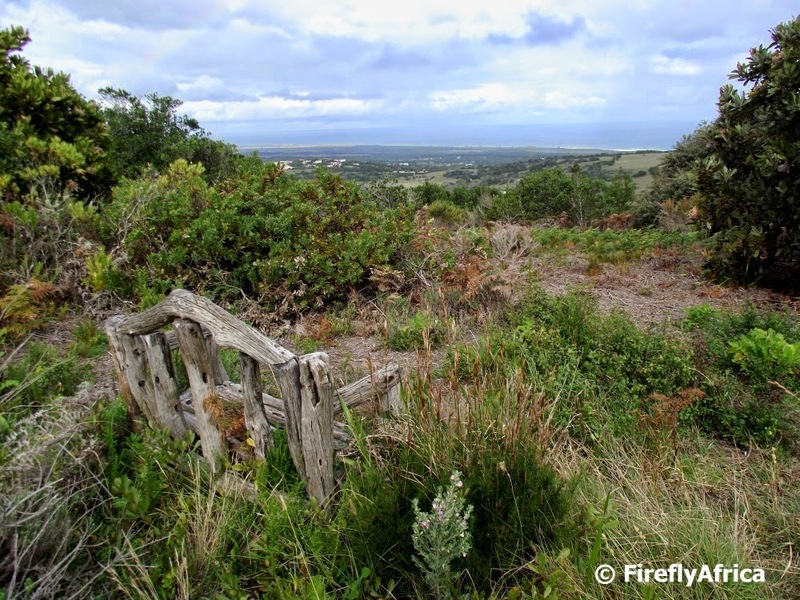 All six islands and their adjacent waters are declared nature reserves and form part of the Addo Elephant National Park. The islands are closed to the public. Also worthy of mention, if only as an obstacle to navigation, is Despatch Rock, 2.4 km due east of the Port Elizabeth suburb of Summerstrand. The rock, which is submerged at high tide, is marked with the Bell Buoy. Further south, about 1 km southwest of Cape Recife, the western starting point of the bay, is Thunderbolt Reef. Though not in the bay, this hazard to navigation has claimed many ships carelessly entering or leaving. Thunderbolt Reef is submerged save for spring low tides and the surf crashing on it can be observed from the mainland. The BirdLife fact sheet adds that 14 species of seabirds, several species of shorebirds and 33 species of terrestrial birds have been recorded on the islands. Eight seabird species were known to breed on the islands in 2007. “These are the only islands off southern mainland Africa where Roseate Tern(Sterna dougallii ) breeds regularly.” The islands are also home to 43% of the global population of the African Penguin (Spheniscus demersus), the majority of which are on St Croix. St Croix also holds a locally significant breeding population of Cape Cormorant (Phalacrocorax capensis). Bird Island is one of only six breeding sites in the world for the Cape Gannet (Morus capensis). Kelp Gull (Larus dominicanus) and African Oystercatcher (Haematopus moquini) are found throughout the Algoa Bay complex. The island group is also known to hold large numbers of Antarctic Tern (Sterna vittata), which in winter roost on the island in their thousands (regularly holding between 10% and 20% of the estimated total Afrotropical non-breeding population).” The island is also home to Cape Fur Seals (Arctocephalus pusillus). Raggy Charters, the only licensed boat-based whale and dolphin watching tour in Algoa Bay can offer guests close-up encounters with the wildlife in the bay. Species which can be seen on the cruises are humpback whales, Southern right whales, Bryde's whales, bottlenose dolphins, common dolphins, humpback dolphins, African penguins, Cape gannets, Cape fur seals, various shark species and various pelagic birds. Long before the The Boardwalk complex with the hotel, casino and entertainment center was build there used to be a Boardwalk. The center where Barneys, Blue Waters Café and what used to be called The Red Windmill (sorry, I have no idea what they are called now) are located is also called the Boardwalk. The reason? 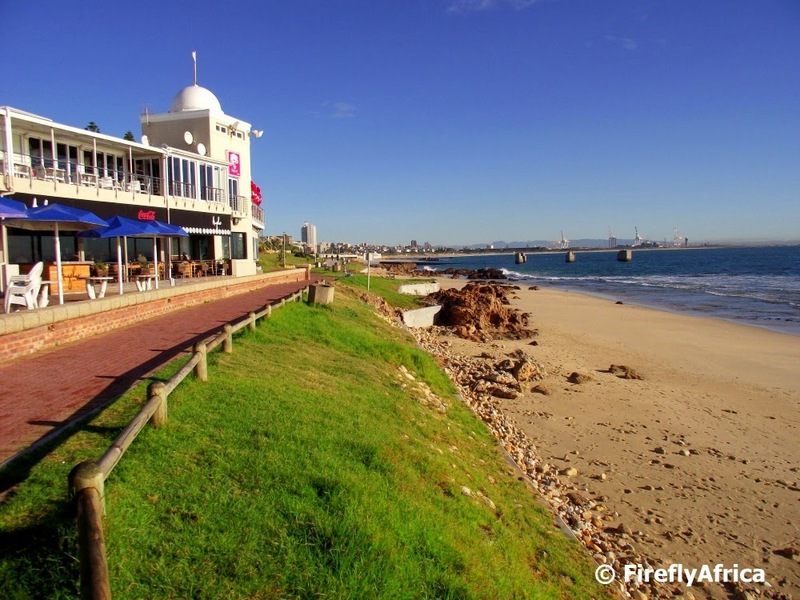 Its located along Port Elizabeth's beautiful beachfront walkway. Ever wondered what it looks like from the top of Lady? This is the view from just below the big Telkom tower looking west. It was slightly cloudy and very windy when I was up there but on a clear day you would be able to see Jeffreys Bay in the distance. The view of Cape Recife from the parking area lookout on Marine Drive. The lighthouse is on the point on the right hand side and the building sticking out on the left is the Nelson Mandela Metropolitan University administration building. 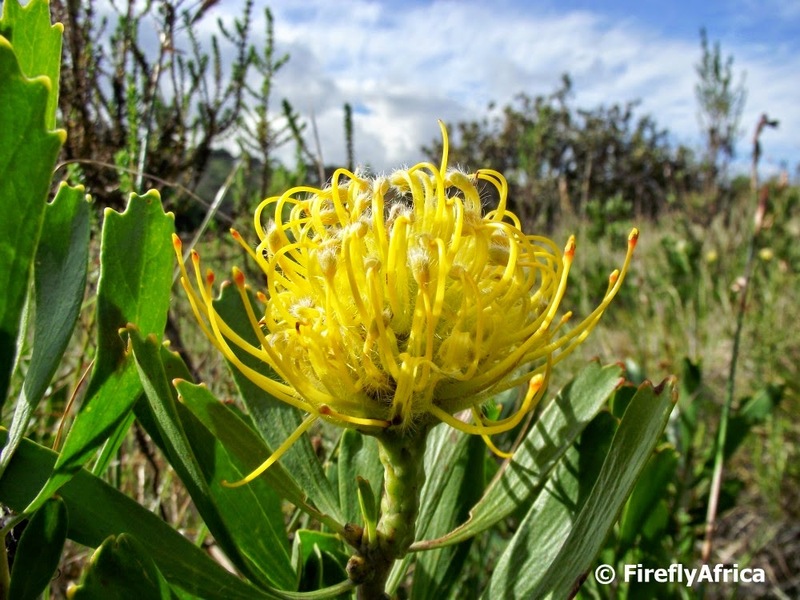 The Pincushion Protea (Leucospermum) is a genus of about 50 species of flowering plants in the family Proteaceae - part of the Cape Floral Kingdom also known as Fynbos. They occupy a variety of habitats, including scrub, forest, and mountain slopes. In the case of this one, I photographed it in the Van Stadens Wildflower Reserve. They are evergreen shrubs (rarely small trees) with tough and leathery leaves. The flowers are produced in dense inflorescences, which have large numbers of prominent styles, which inspires the name. 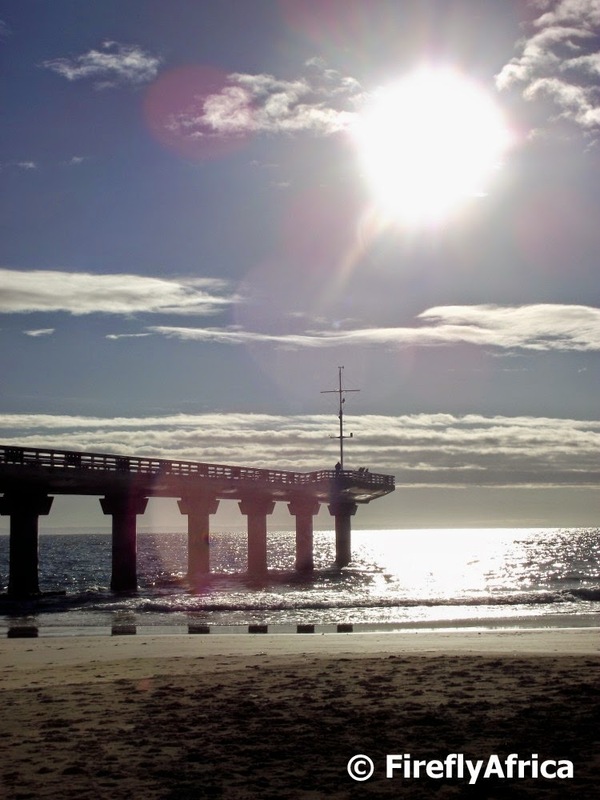 Shark Rock Pier really is one of those iconic Port Elizabeth landmarks. What makes it such an interesting photographic subject is the fact that its not just part of the city's beautiful beachfront, but also its changing moods depending what the weather and tides as doing. In this case mid morning on a calm and sunny winters day. 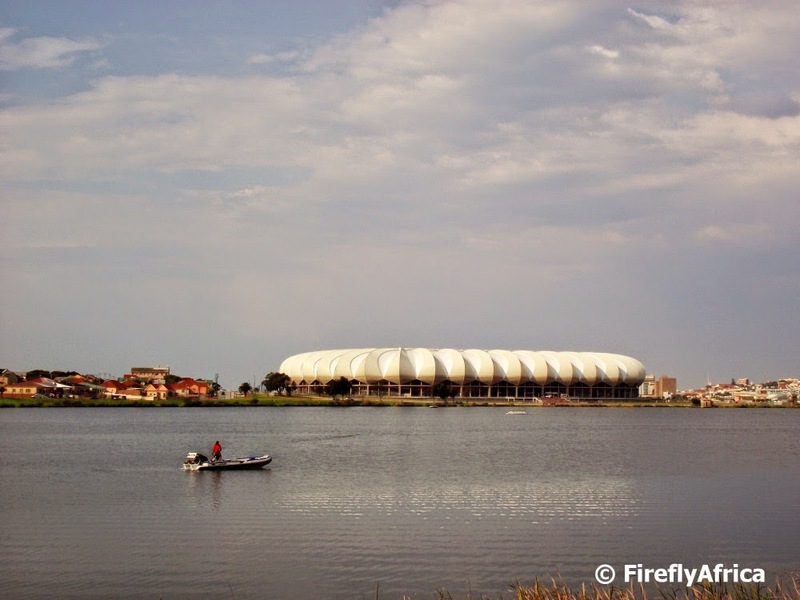 I was in the North End area a week or so ago with a visitor who has never seen the Nelson Mandela Bay Stadium before and drove around the North End lake to show them the view. Just in case you haven't seen this view, here it is. If you have seen it, just a reminder of how beautiful the stadium and view of it is. For my last post in this week's series on the Tsitsikamma I featuring a thing and not an activity. The Big Tree is probably one of the best known landmarks in the area and a very popular stop for tourists. An easy 500 meter boardwalk takes visitors to one of the giants of the forest. I haven't been to the Big Tree for a couple of years and one of the things I noticed while there was that the signs no state that its about 1000 years old. When I used to guide everything said 800 years so either its aged quite a lot since the road upgrade or they now know something they didn't a couple of years ago. 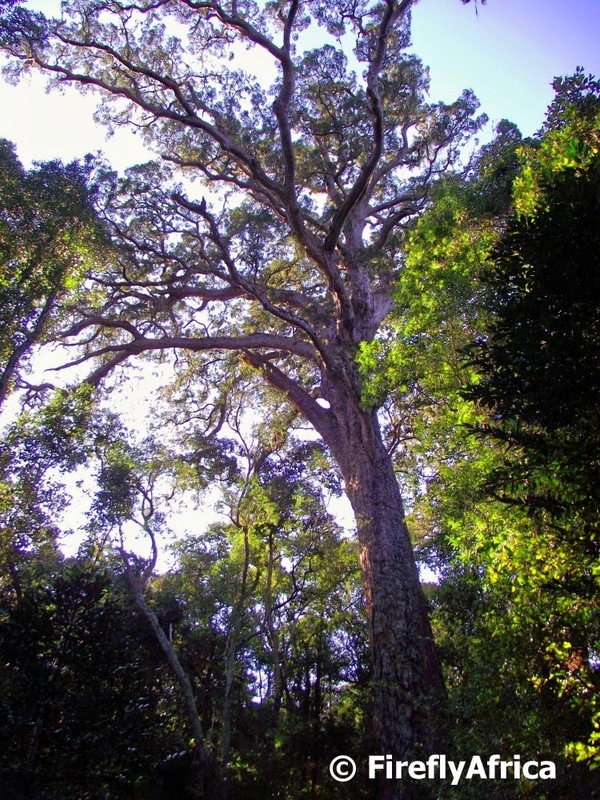 Anyhow, the Outeniqua Yellowwood (South Africa's national tree) stands almost 40m high and has a girth of around 9m. 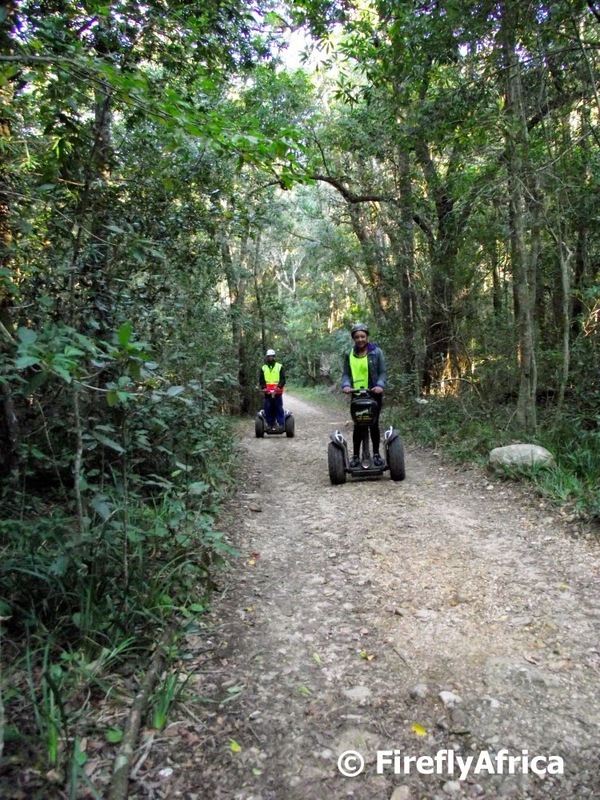 One of the "soft" adventures one can participate in while visiting the Tsitsikamma area 160km west of Port Elizabeth is a Segway tour into the forest. The Segway is a two-wheeled, self-balancing, battery-powered electric vehicle and to me the next best thing since sliced bread. Anybody can do it (read here about my family doing it about a year and a half ago) and it is lots of fun. This time around I was on an educational trip with a colleague and we got to go on the two hour trip all the way to the Big Tree and into the forest. Wow, what an experience!!!! Probably the most popular adventure activity in the Tsitsikamma is Storms River Adventures' Canopy Tour. 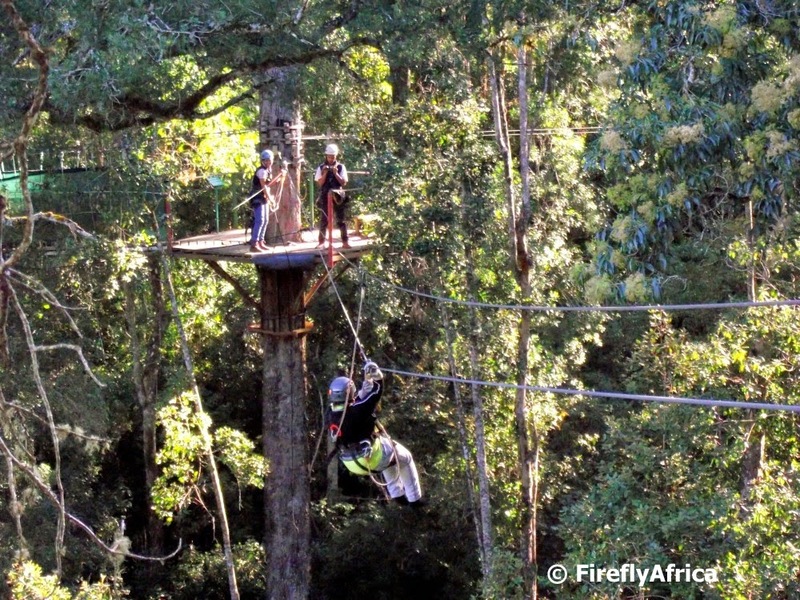 Imagine gliding along through the treetops in the indigenous Tsitsikamma forest. Its more than just a dream. Its a reality. The 2 1/2 hour adventure starts with a safety briefing and getting kitted out before heading for the trees. Ten slides between the forest giants taking you as high as 30 meters up and over 90 meters on the longest slide. Something not to be missed. I will be doing two posts covering the Canopy Tour on The Firefly Photo Files soon as I got to go twice over the last few weeks. First on a trade educational and a week later with the family. 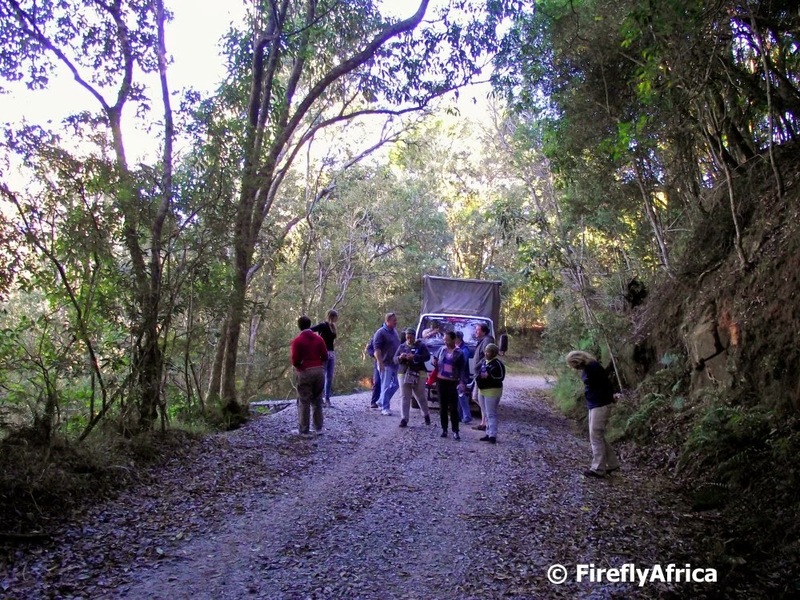 Continuing with this week's series on activities in the Tsitsikamma. The old Storms River Pass built by Tomas Bain in the 1880's following the elephant trails through the gorge is only accessible on foot or by bicycle. The only other way to explore it is along with Storms River Adventures on their guided Woodcutters' Journey. The tour follow the old pass down to the picnic spot next to the low water bridge over the river. Along the way you pass tree ferns, stinkwoods, yellow woods and many other tree species, whilst hearing about the history of the area and the local flora and fauna. You may even catch a glimpse of the elusive Knysna Loerie flashing its scarlet red feathers under its wigs as it glides between trees. After visiting the Tsitsikamma twice over the last two weeks I decided to do a short series on things to do and attractions in the area. Obviously those mentioned will be those I got to go to and unfortunately the Tsitsikamma National Park wasn't amongst them. Doesn't matter though as there are load of other things to do and see in the area. 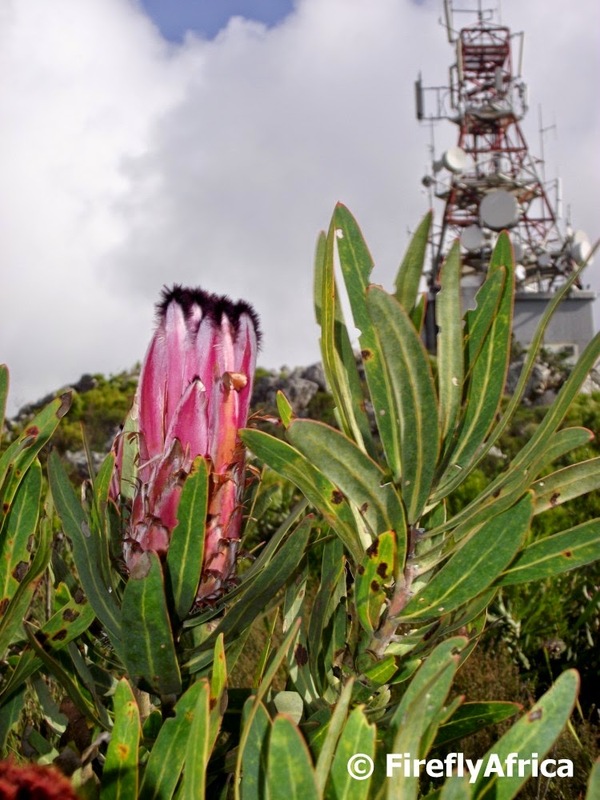 Lady Slipper is covered in fynbos and its always great to see flowering proteas in the wild, so I couldn't help but to take a picture of one with the Telkom tower on top of the mountain in the background. 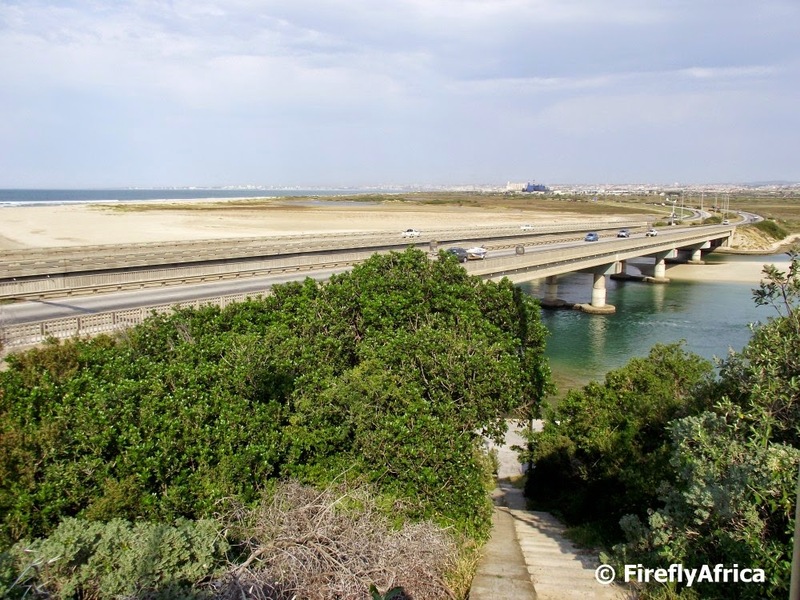 I'm sure most PE people have driven along the N2 across the Swartkops River Bridge, but I often wonder who have seen the bridge from another angle. This view is from the Fortress Observation Post you see on the land side when crossing the bridge. What is there I haven't said about the Addo Elephant National Park before. Probably very little. 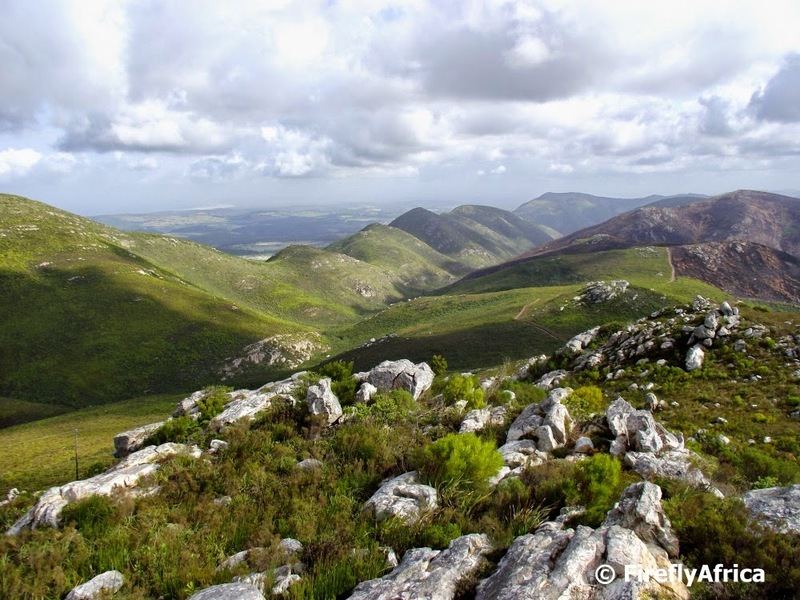 Addo truly is a gem of the Eastern Cape and so much more than just elephants. Yes, its THE place to go if you want good (close-up) sightings of wild African elephants and you could easily end up at a waterhole in summer with a couple of hundred elephants all around you. Yes, all around you. Addo's main game viewing area is also home to lion, black rhino, buffalo, hyena, caracal, many antelope species and many more smaller animals, not forgetting the huge variety of birds. Since the park has been expanded towards the Sundays River with the new entrance at Camp Matholweni at Colchester, the offering of sightings and landscapes have increased even more. 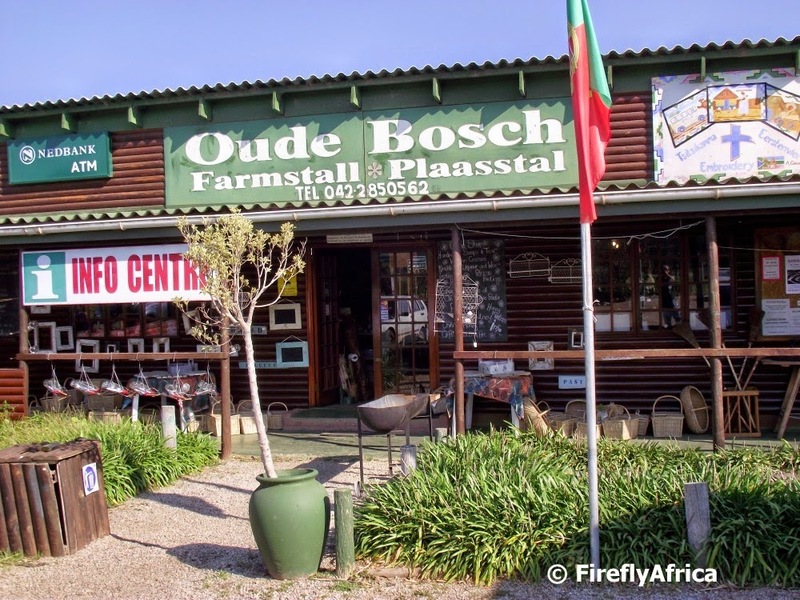 Outside of the main game viewing area there is also the horse riding and 4x4 trails in the Zuurberg, the Alexandria dune field which one excesses via a 2 day hiking trail and the islands in Algoa Bay, making Addo the home of the Big 7. The Big 7 being made up of elephant, lion, buffalo, rhino, leopard, the Great White Shark and the Southern Right Whale. Accommodation ranges from camping and a tented camp in the middle of the park to chalets, log cabins and 5 star lodges. There are so much more to say about Addo, but I will let this promotional video of South Africa's third largest National Park talk for itself. 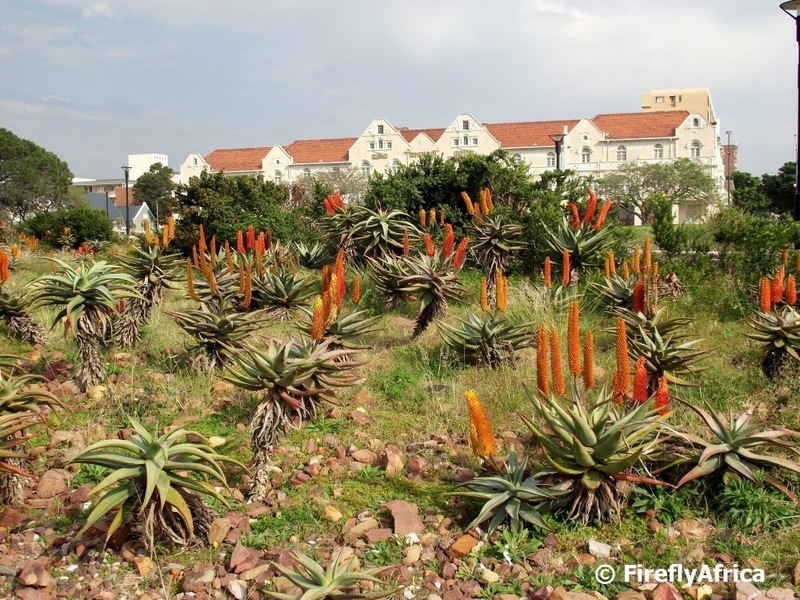 The aloe garden on the Donkin Reserve in front of the lighthouse building forms part of Route 67 and contains aloes taken out on the reserve before the redevelopment took place. The aloes are in full bloom at the moment making the garden particularly beautiful. I realized this afternoon that I never uploaded a picture last night for today's post and that I have a meeting at school tonight so the rest of the evening then quickly gets filled up. So I scratched around on my phone and found this picture I took a couple of weeks at a chess tournament that Chaos Boy took part in. Unlike Drama Princess who is very sporty, Chaos Boy likes to rather play chess. Very unusual for somebody with such a busy mind like his. Usually they play individually in the tournaments, but this specific one was a team tournament with schools competing against each other. 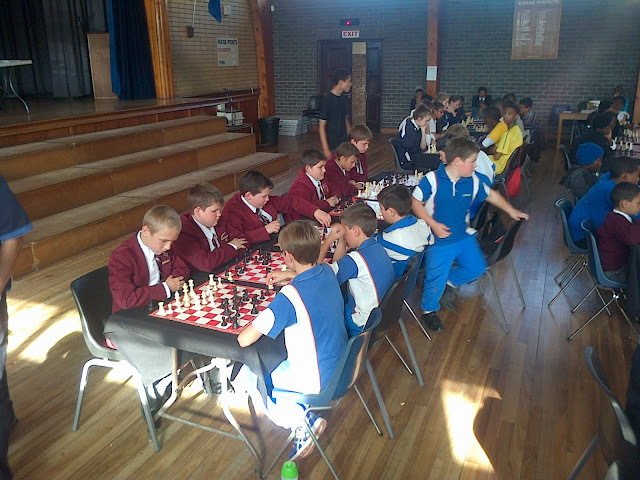 Newton Park Primary (in the maroon blazers) with Chaos Boy at the end of the table on the left, played against Lorrain Primary in the final game, unfortunately conceding defeat. 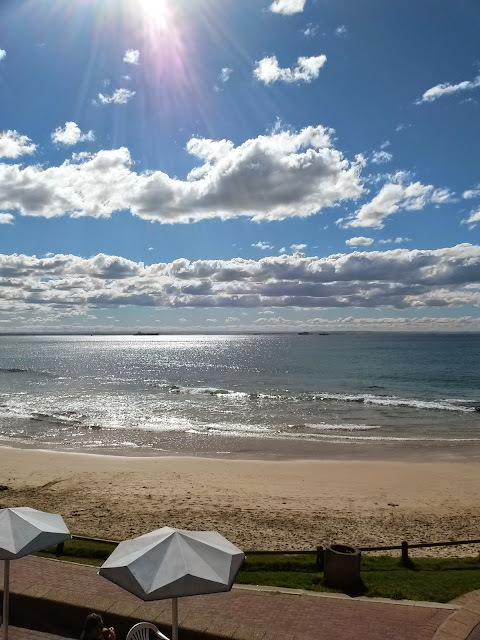 I had a meeting at the Blue Waters Café at Hobie Beach this morning and snapped this picture from the balcony. Algoa Bay glittering in the late morning sunshine on a warm day. Although not in the picture, there were lots of people out and about on the boardwalk and the beach enjoying the good weather. And we call this winter? 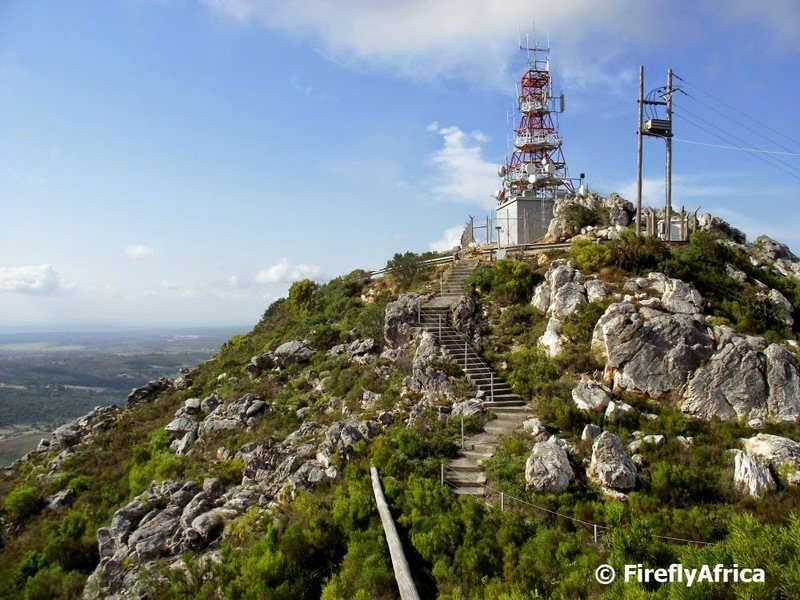 I've seen the Telkom tower on top of Lady Slipper from the N2 and always wondered how to get there. The other day I got to go up the access road at the back of Lady Slipper on a Geocaching expedition and saw the tower up close for the first time. Much more impressive than the tower is the view all around. Will post a picture of the view in the next day or so. 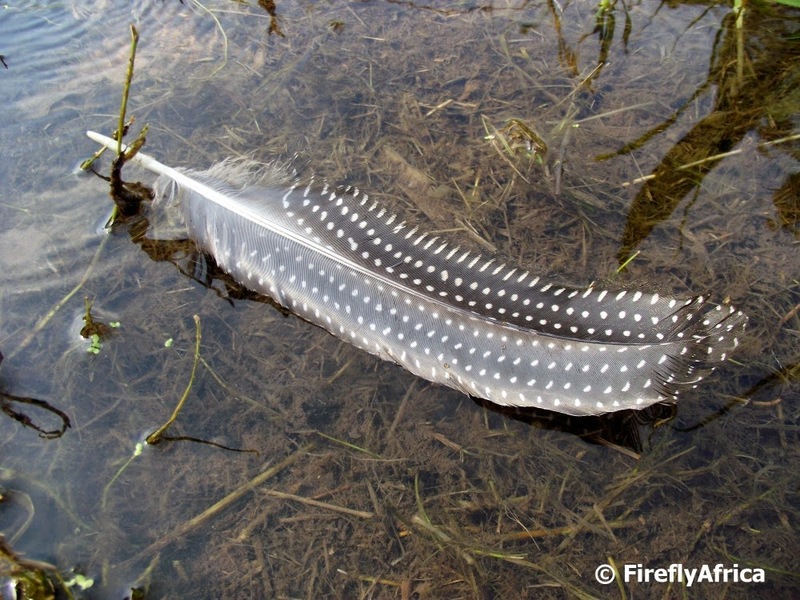 A short walk during lunch time along the Lower Baakens Valley on the Guinea Fowl Trail produced a guinea fowl feather floating on a little stream forming part of the Baakens River. A sign of wildlife and birds in the valley. Most people who access the Baakens Valley do so from How Avenue off Park Drive, Wellington Park or Walmer, but I wonder how many know that you can also do so from an entrance just off Brickmakerskloof. 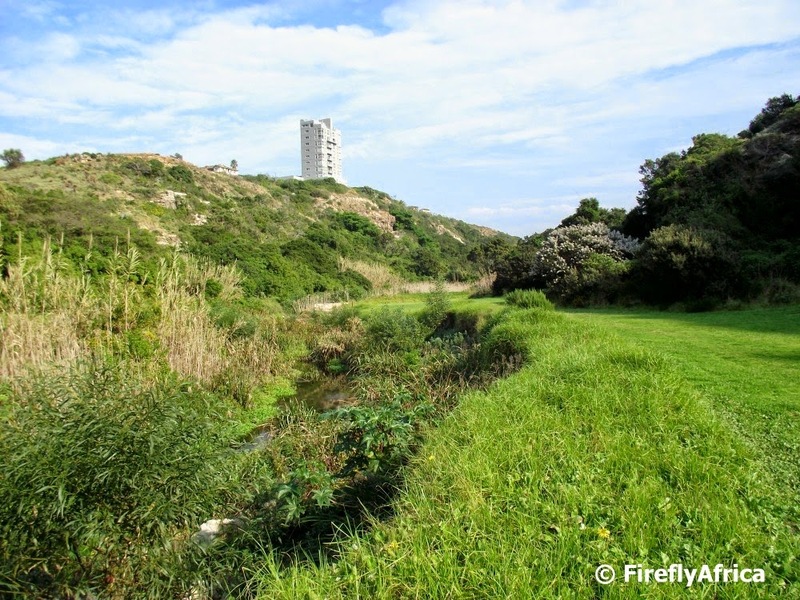 I took a walk into the park from here the other day and you quickly loose sight of all signs of civilisation except for the towering Knysna apartment building on the Walmer side of the valley. Looking for a tranquil spot with a bench to enjoy the view? I found this one close to the chapel in the Humble Ways private nature reserve on Lovemore Heights.